Walking the line between proactive and pushy in your email marketing can feel like walking a tightrope blindfolded. First, there’s the challenge of perspective. One customer’s idea of “pushy” might be another customer’s idea of energetic or enthusiastic. 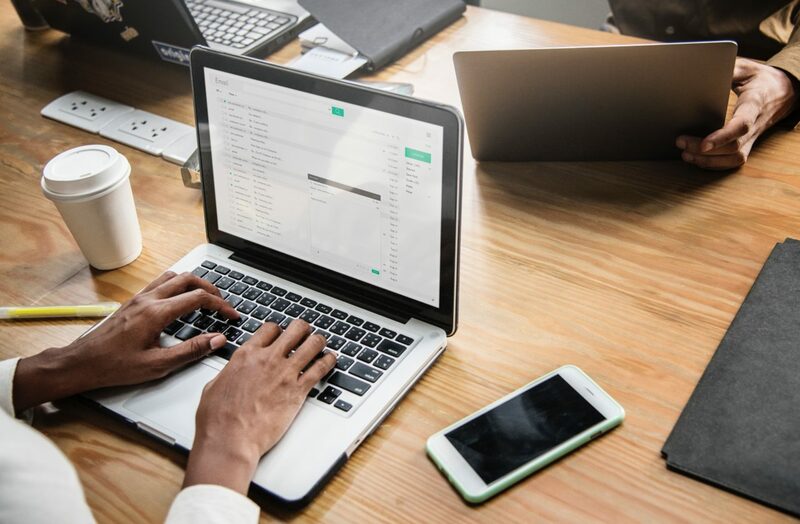 Then, there’s the cold, hard reality of remarketing: if you aren’t reaching out to prospects multiple times (i.e., being a little pushy), your email marketing campaign is almost guaranteed to fall short. We’ve compiled some tips for ensuring your email marketing copy is more proactive than pushy. Give these a shot, and see how it impacts your next campaign. Tip #1: Be careful with subject lines. Avoid aggression or defensiveness in your subject lines. Though these tactics can certainly be effective in terms of open rates, you’re far more likely to get that hallowed click-through (and avoid being seen as pushy) with a bit more decency and candor. Proactive: Is it something we said? / I know you’ve been busy. / We miss you! Pushy: Why haven’t you opened your emails? / Why are you avoiding me? / Where have you been? Tip #2: Space them out. There’s nothing that will turn your prospects off faster than pummeling them with daily emails (except, maybe, twice- or thrice-daily emails). According to a State of Digital Marketing report, most marketers contacted their subscribers between 2 and 5 times a month. Very few (8 percent) of respondents sent more than eight emails per month. But if your subscribers have signed up for a series of trainings, for example, sometimes you can’t avoid sending frequent emails. The solution? Be transparent about it. Proactive: If you’re sending out a series of related emails, let them know it’s a series — either in the subject line or in the body content. Tell them what to expect: will they be getting daily tips for one week? A two-weeks long video series? Be transparent, and you’ll most likely come across as proactive. Pushy: By contrast, blindsiding your new subscribers with more than they bargained for is a surefire way to turn them off. Tip #3: Keep it real. When it comes to email copywriting, the more you can mimic real-life speech, the better. First, remember the stuff you learned in high school: don’t use all caps, don’t use extra exclamation points or question marks, and get to the point right away (no fluff). When you’re writing, imagine you’re speaking to a friend. It may even help to say what you want to say out loud and transcribe it, then edit it from there. Email copywriting is more like text messaging than like formal writing, so it’s helpful to think out loud when you’re doing it. Proactive: Hey! I know it’s been awhile since we last spoke, so I thought it would be the right time to reconnect and share this fantastic offer for subscribers just like you. Pushy: It’s been TWO WEEKS since we heard from you. How are things going??? If you want this great new offer, you have to act NOW. Tip #4: Know where your subscribers are in the customer journey. More often than not, pushy emails are simply those that ask for the sale too soon. If you have a brand new subscriber, you’ll need to spend plenty of time “courting” them before you ask them to open their wallet. Start by sending them valuable information pertinent to their interests, or providing offers with a very low barrier to entry — like free resources, trials, or tutorials. Another great way to avoid being pushy is to segment your emails as narrowly as possible. A prospect is far more likely to feel aggressed when they’re receiving content unrelated to their interests than when they’re getting highly targeted messaging. Proactive: Thanks so much for subscribing! I have something extra special: I’m giving away a free copy of my eBook, “Become an Email Marketing Genius,” to new subscribers like you. Follow the link to download. Otherwise, have a great day, and I can’t wait to help you rock your email campaigns! Pushy: Thanks so much for subscribing to my marketing newsletter! Today (and only today) you can get a copy of my book, “All About Blue Whales” for $14.99 instead of the usual $19.99. Click here now to redeem the offer! Have a great day, and don’t forget to claim that offer today or you’ll miss out! Tip #5: Don’t overuse timely offers. You’ve probably been told that adding a time limit is a great way to trigger your prospects’ FOMO (fear of missing out). And a deadline for your CTA can dramatically increase conversions. However, relying on timeliness can become tired and overused if you employ it constantly. To avoid sounding pushy, don’t use time limits to create a sense of urgency — use them only when it really matters, and pair them with the value you’re providing. Proactive: LAST CHANCE: Claim your seat at the conference before midnight, and get one-on-one access to the best marketers in the country. Pushy: THIS IS YOUR FINAL CHANCE: The sale on conference seats ends at midnight tonight!! ACT NOW! A final tip is to merely trust your gut. You’ve likely been subjected to pushy advertising in the past – take a moment to think about what in particular put you off, and avoid those tactics in your own copywriting.